On The Water: Cat® 6090 FS Has Shipped! 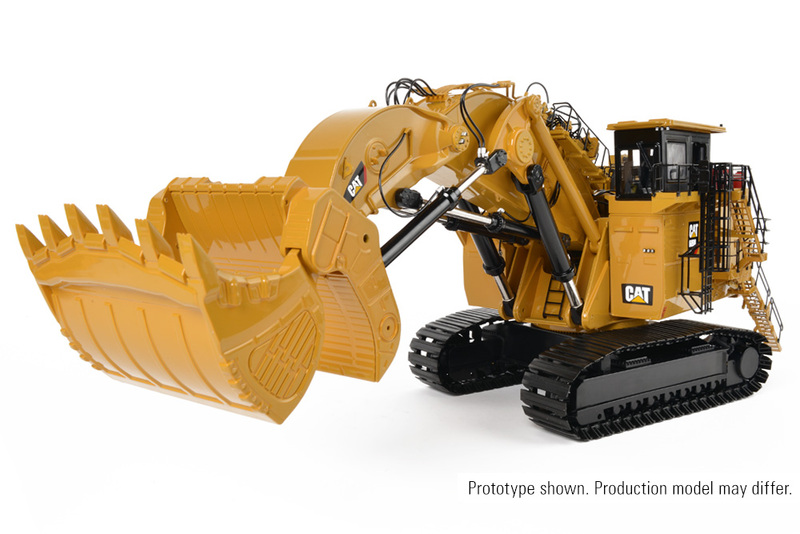 After a much anticipated production cycle, we are very happy to announce that the Cat® 6090FS in precision 1:48 scale die-cast has completed production and is currently being loaded for shipment. Assuming no complications in shipping or passing through customs, we expect to see this model arriving at our warehouse in about 6 weeks’ time. Once the models arrive, we will begin emailing invoices to individuals that are on the request list. Be sure to take care of payment at your earliest convenience – after 10 days without a response your model will be offered to other collectors that are on the backup list. Unfortunately, for those who have not yet placed a request for this model, the backup list is closed as demand has already exceeded the production run. Please note that due to the size, weight and complexity of the 6090FS, all models shipping from Classic Construction Models will be palletized. We understand the complications that may arise due to this requirement, however after careful consideration it has been determined that this will be required in order to help minimize the chances of damage during transport. Am I correct in that each model will be individually palletized if bought direct from yourselves? If so, will it be left to dealers and the customer to decide whether to ship on a pallet or not? Thank you. Each shipment from CCM will be palletized, although orders with multiple models can be combined on the same pallet. We strongly recommend that our dealers also palletize their shipments, and we will provide the pallets to them. This recommendation is in place to help minimize damage to the models during transit. Ultimately, it will be up to the dealer and customer to decide whether to ship on a pallet – however, if damage does occur to a model that is not palletized it will be between the dealer and customer to determine a resolution. La spedizione sul pallet è un’ottima idea speriamo sia attuata anche dai vari concessionari. Ho il carrello elevatore per scaricarlo dal furgone del corriere. Did you inprove the package? I am very worried for the transport of the 6090 …, the interior of the boxes is there provided for such a machine? …. if yes why pallets …. home, they by carrier, but resellers who use the post office: how will the post office handle the pallets? …. in short I am worried…. Can’t hardly wait to get my hands on this long coming model. Anticipation is killing me ! How does the model being shipped on a pallet effect me as a customer? Would this be something that UPS or FedEx delivers to a household? Will the shipping price be much higher than standard packages? You mention potential complications, but I have no idea what these entail since I’ve never had to deal with a “palletized” shipment. I was hoping for something close to TWH quality on this and it doesn’t look to be the part. Hopefully I am wrong.